For residential roof repairs, you can rest assured that Roofing Vancouver BC will provide excellent service using the best materials in the market. When you need your roof fixed quickly, call us and we'll send our highly skilled repair team to fix your roof as good as new. We inspect roofs for FREE! Is your house roof damaged? Are you in need of residential roof repair? Your home is the biggest and most essential investment you’re going to make - and we totally understand that. In fact, we believe that every nook and cranny of your home should be treated well to keep damages from happening. We at RoofingVancouverBC are passionate about keeping your roof damage-free so you can rest easy knowing you’re roof keeps you safe no matter how harsh the weather condition is. Our work’s scope doesn’t just limit to repairing roof damages, we also try to educate our customers when it comes to roof inspection. This is to ensure that our clients know when to call us and avoid getting roof damages that have worsen over time. We encourage everyone to keep track of your roofing especially when harsh weather conditions are on the way. This way, you know it won’t collapse on you when the going gets tough. If you suspect any damages, please don’t hesitate to call us and we’ll check it for you. Why choose Roofing Vancouver BC for your residential roof repair services? We have worked with residential and even commercial spaces all over the Greater Vancouver area. But we don’t limit our work around the area - we also work with clients near Vancouver who requires our help. Our team of experts are highly skilled and trained for services such as roof installation, roof repair, and roof restoration. We guarantee you’ll be 100% satisfied with the results. All our work are done with meticulous care for a professional finish. We’ve also earned many professional certifications as we believe enhancing our skills and updating our techniques is essential in keeping up with the needs of our customers. Apart from our team’s skills and knowledge, we also use the best materials and tools. We believe that to create a reliable and durable roof, it should be made with high-quality materials that are resistant to the constant changes in the weather. With the right installation, a roofing system can keep out water, snow, and wind that could cause damage on both the interior and exterior of your home. Even your precious investments such as appliances can get damaged from wrong roof installation. You don’t need to come to us. We come to your home after scheduling an appointment. But not all damages can wait because if you do, it will only cause unexpected financial burden that will rapidly increase every second your roof isn’t repaired. For these kinds of emergency situation, we have a team of people ready to help you. We’re ready to serve you 24 hours a day, 7 days a week! 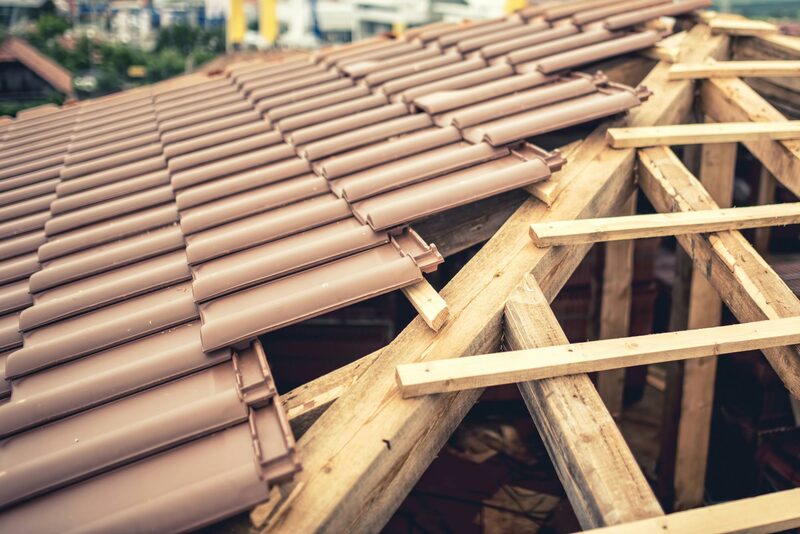 Our team at RoofingVancouverBC are always on alert for any possible roofing damages you might encounter and we will come to your assistance no matter the weather. Raining heavily outside and you’re experiencing leaky roof? No problem! Call us and we’ll be on our way to help you. You can contact us through our hotline number or submit your details via our website. Besides simply working on installing your roof, we also offer tips for maintaining your roof so you can expect better lifespan. Plus, we also guarantee you that you won’t be needing any sort of repairs from the time being, especially when you regularly check your roof. This saves you from excessive repair costs and keep your budget to roof installation costs only. To know more about roof installation costs, contact us today. Need To Repair Your Roof? Contact us today for a free consultation and estimate! Plus don’t hesitate to ask us questions or if you have any requests. You can also input your details on our website and wait until a member of our staff gets back to you with more information about how we can help you. More than anything else, we believe in the importance of your safety and your investment. Whatever roof services we provide, we make sure that the result is something we’re proud of and won’t harm our clients, especially during harsh weather conditions when a reliable roof is of utmost importance. We’re committed to providing you with high-quality services at affordable rates. Your money won’t be wasted! One call from you and our roofing experts close to your city will be ready to bring your roof back to life and improve the value of your property. Whether it’s raining or storming, once it’s an emergency – we are committed to saving your family from a leaking and damaged roof. Trust that we’ll be there the moment you need roof repairs. Whether you have a flat or sloped roof, our roofing experts are trained to work on all types of roofing materials. All work is done meticulously and we can ensure that you will get a professional outcome from our roofing company. One of our top concerns is to protect your family from any season that might damage your roof. We care about your family so we’ll do our best to work on your roof problems. You can call us whenever you need roof repair services -- whether it’s an emergency or not, we’ll be right there to keep you safe! Our materials are the best of the best. We believe that best service comes from best materials. We make sure that our customers receive 100% satisfaction, guaranteed! Got some personal requests? Our friendly roofers are very approachable and accommodating! Ask them and they will surely answer with a smile! When you hire us, you can trust that the work will be completed with the highest standards of workmanship because we do all of our own work and we have earned many professional certifications. Fill up our form or call us with the contact details provided on our page. We’ll reach you and give you free inspections! Easy as that! So please don’t hesitate to call us right now if you need our help. We’ll be right there in front of your home as soon as you need us! We are committed to provide the best customer support to our clients. Send us your concerns or questions to get direct answers from us. Our professional roofers are committed to provide superior service for the customers. We offer the finest quality roofing materials to build long-lasting roofs. We always think about our customers and we strive to provide safe solutions. We guarantee that we work on each customer with expertise installation and repairs. Need a quick response because of an emergency damaged roof? Call us today! Requesting a free, no-obligation quote is a great way to start your relationship with RoofingVancouverBC. Get a FREE quote by submitting your details in our form below or call us today at 778-200-3114! We are putting a quote together, who do we contact? Damaged roof? Call us now and we will make your roof all weatherproof! Get in touch with us to GET A FREE INSPECTION. © 2019 · Roofing Vancouver BC. All rights reserved.